I did, at one time, use the n = (Fosc / (16 * BAUD)) - 1 equation to prove to myself that this equation worked. Well, while in the fog of my "Brain-Fart", I decided to see if I could employ the use the BAUD rate equation to verify what the BAUD should be and, here is what I discovered. For any of the "Magic" frequencies: 14.7456MHz, 18.432MHz, etc., the BAUD rate calculation resolves to numbers that are exact whole numbers - meaning, there is no fractional part. I don't know how it is for GCCAVR, WinAVR or some of the other AVR C compilers but, rather than rounding 7.680555... up to 8 when moving from a float to UNSIGNED INT, ImageCraft's ICCAVR C compiler truncates the result of the equation to the value of 7. The issue is that, according to the data sheet BAUD charts, deriving a BAUD rate of 115.2K BAUD when using a crystal frequency of 16.000MHz and a BAUD constant of 8 inherently produces an error of -3.5%. % error = 100 - ((115200 / 125000) * 100) = 100 - (0.92 * 100) = 100 - 92 = +8% error. While I have only performed the error resulting due to fractional truncation for one BAUD rate, I suspect the error will be proportionally as bad, across all of the BAUD settings, using the much touted n = (Fosc / (16 * BAUD)) - 1 to derive BAUD rates with non BAUD friendly crystal frequencies. I think I'll keep using hand fed BAUD constants presented in the data sheet BAUD charts. Carl--Much ado about nothing. Yes, in the case of your truncation example, rounding up would be a bit better. However, both resulting numbers are "bad" and outside the band of reliable serial comms. Like driving off the shoulder 3.5 meters on the right and 8.5 meters on the left. Neither is good. 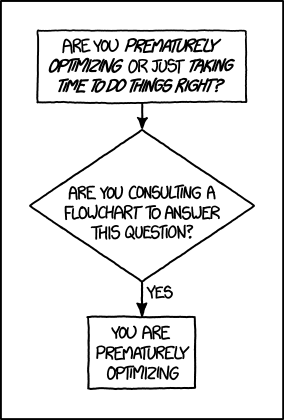 -- Many of us use "Wizards" that help with this type of thing when building an app. -- Many of use use avrcalc and/or kavrcalc to check settings. -- Many of us >>only<< use magic frequency crystals in our USART AVR8 apps. -- When the above "only" is violated, then indeed the datasheet chart and/or tools mentioned above are consulted. I agree, and I usually document the actual Baud, and in many cases check that against the USB-UART device baud choices too. ie a design can set 111.111k Baud @ uC, and set that on most USB-Bridge parts, for lowest errors. We have seen people spend weeks trying to write the "best" set of defines to calculate the proper UBRR value taking into account rounding, deciding when to use U2X, calculating the error, producing warnings when no appropriate value is found, etc., all to avoid the 10 seconds it takes to calculate the value by hand. I never saw the point. In the time it took to create the defines you could have done the hand calc a thousand time. Why write macros for anything, then? The point of any macros is that once written, you can deploy them in (ideally) any circumstances, regardless of considerations like F_CPU. That's what the macros in <util/setbaud.h> do, which btw handle rounding neatly. or one of its cousins. Generally I don't, especially for something as trivial as calculating UBRR. Why? It is two divides to get the value, one more divide if you want the amount of error. Obviously, for me, working two divide operations isn't a problem. But even with that, it's just so much easier to look at the BAUD tables in the data sheet and get the BAUD constant and the percent error, as well. To me, the n = ((Fosc / 16) / BAUD) - 1 is better used as a tool, to discover if some other frequency other than what is listed in the BAUD charts will have little enough error to work with. For instance, will Fosc = 4.096MHz work for a given BAUD and, what error will you be working with?